At ‘The Lodge’ we have been curating unique and memorable wedding days for over ten years. As a family business we take a personal pride and a real delight in being part of your special day. We understand that you have months of planning ahead and hundreds of details to get right, and we will be with you every step of the way, advising, and above all else, listening. Because we never forget that this is your special day and, from the table settings through to the evening entertainments, we know you will want to put your special mark on the occasion. 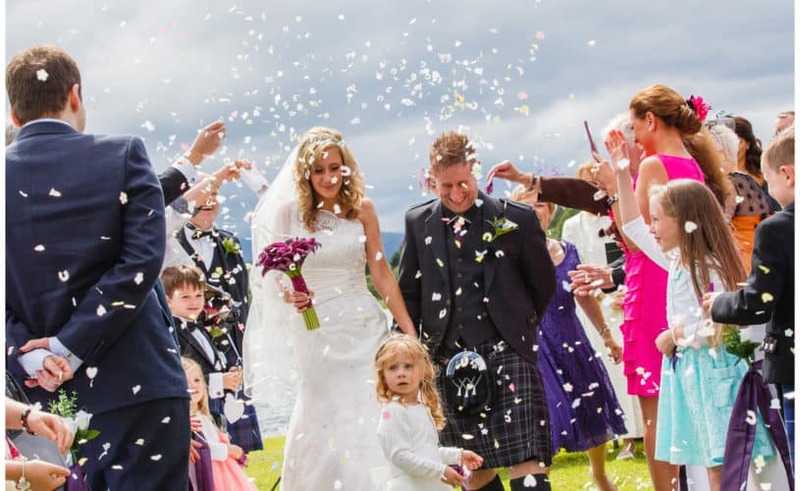 So whether you want an intimate wedding or a grand celebration, we are here to make sure that, together, we create the romantic Scottish Highland wedding of your dreams. 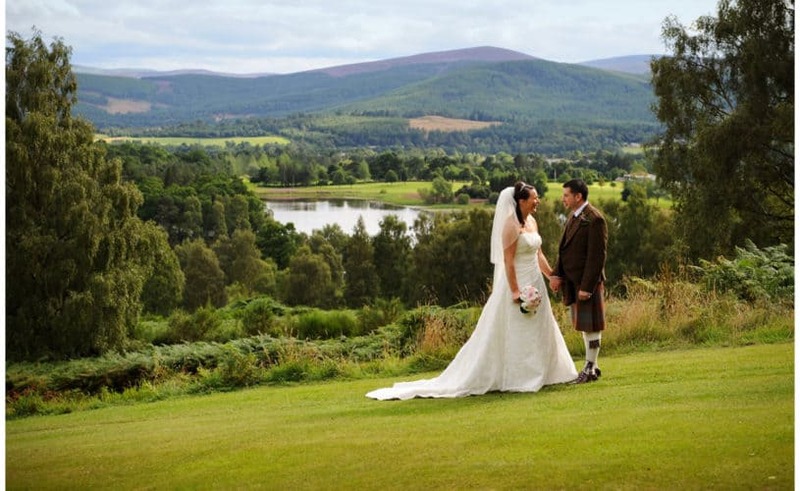 The perfect Scottish Highland wedding requires a classic Highland setting, and nothing could be more quintessentially Scottish than a tranquil loch set against a backdrop of the Cairngorms National Park. Our loch-side gardens, loch-side terracing and glass-walled marquee add those “je ne sais quoi” ingredients that will make your wedding extra special. Whilst our glass-fronted function rooms ensure that our panoramic loch and mountain views can be enjoyed by you and your guests in all seasons. And blessed with such a romantic backdrop, we can promise that your wedding photographs will be just as memorable as the day itself. For the duration of your wedding ‘The Lodge’ is yours for your exclusive use. That means you and your guests can stay with us both before and after the wedding, making the day itself a much more relaxed event. Our bedrooms are furnished with en-suite bathrooms and super comfy king-size double beds, our larger rooms and suites offer under-floor heating, saunas, steam spas and Jacuzzi baths. The bride-to-be can be truly pampered ahead of the big day in our Reflect Spa, and your resident guests are welcome to sample the pleasures of our leisure facilities, including the outdoor hot tub, indoor Finnish Sauna, and cold plunge pool. 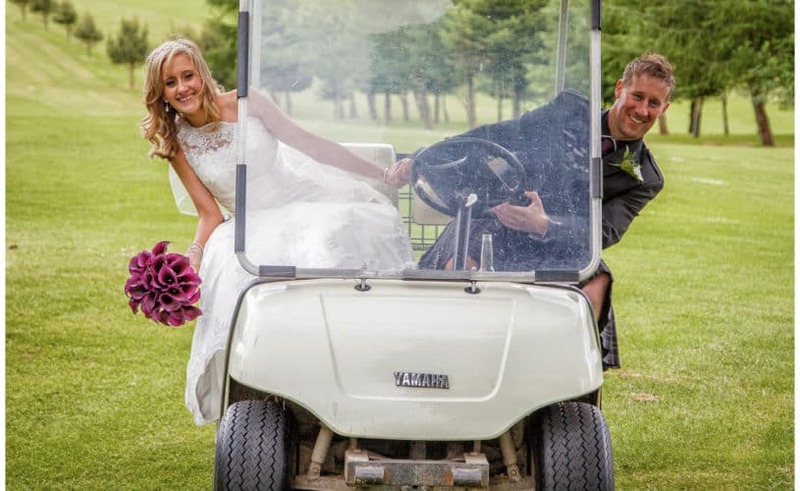 There’s also tee times available for our nine hole golf course and driving range, and if there’s a local activity you’d like to try – perhaps some fishing on the loch or a bit of water skiing – we can help arrange that too. Last but by no means least, we have a reinstated ancient stone circle that forms a unique sacred and spiritual space. It’s all here just for you. ‘The Lodge’ has two complementary wedding suites. 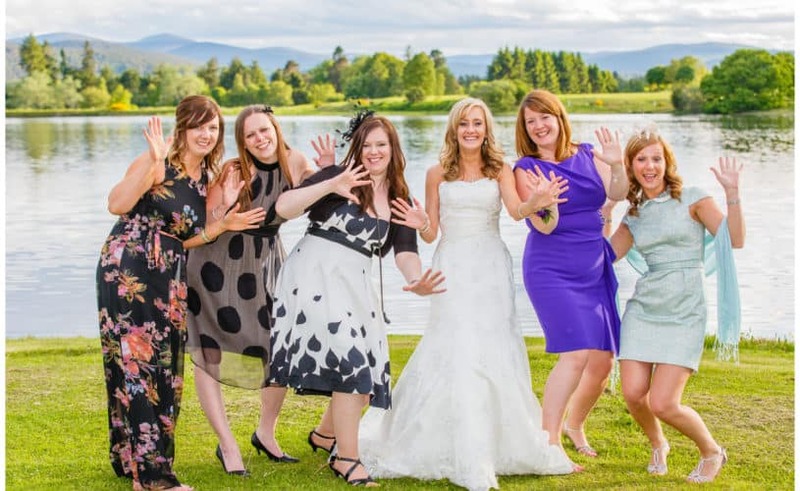 The glass-fronted ‘Formaston Suite’ with stunning views over the loch, is situated on the first floor and ideal for the main wedding meal for up to 85 guests. On the ground floor we have the ‘Osprey Suite’ which can accommodate up to 120 guests and is just perfect for the evening reception entertainment. If you’re having a summertime wedding then our Osprey Deck and unique glass-walled marquee provides a wonderful loch-side venue that can be utilized in a variety of ways to suit your requirements. Our high standards of catering have earned us an AA Good Dinner Award and accreditation with the Visit Scotland ‘Taste our Best’ scheme. For the all-important evening entertainments we have a solid wood dance floor and plenty of room for a live band or DJ (or both). Our bar is stocked with some of the finest single malt Scotch whiskies and we offer a personal selection of great wines from around the the world. And when it’s finally time to retire, the happy couple can look forward to a night in our De Luxe Glentanar Suite. The perfect ending to a memorable day. Please remember that all our weddings are tailor-made and the costs will vary dependent upon your individual requirements. The months fly by when there’s a wedding to be arranged and we find that our diary gets booked up pretty quickly. So if you think the Lodge on the Loch is the ideal venue for your romantic Scottish Highland wedding please contact us soon and let’s start planning.